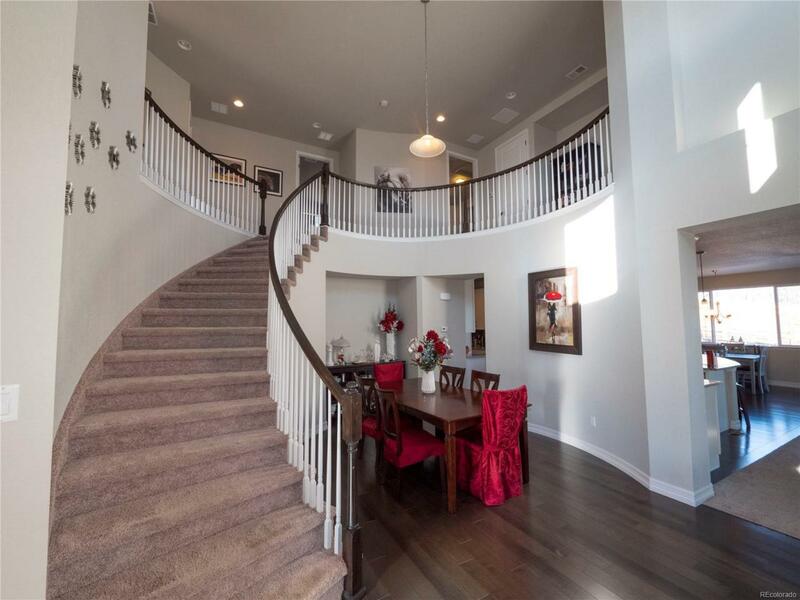 Beautiful home in Castle Oak Estates that backs up to Open Area! This home was built in 2016 by Century builders. This home features several builder upgrades. Including an extended side courtyard, all interior doors upgraded to 8, the option of a 4th bedroom was added in lieu of a loft, door was added to the master bedroom closet creating direct access into the laundry room. Separate master suite features gas fireplace & private deck & 5 piece master bath. Family room off the kitchen features 12 Wide 3 panel Stacking Sliders with extended deck. The mother in law suite on the main level was upgraded with a full bathroom. The beautiful chefs kitchen features upgraded maple cabinets, with roll out trays & self closing drawers & separate trash bin cabinet, granite counters, stainless steel appliances, double oven & 5 burner gas cooktop. This home also features ION solar panels (installed 2018), that have been paid for, so you dont need to worry about a lease or an energy bill!